Marvel have failed to put their name on what is quite possibly ‘their’ best Disney film to date. Having now been to a Q&A with Producer John Lasseter and director Don Hall I have a little more insight into this. It is very much a Disney movie with Marvel DNA. 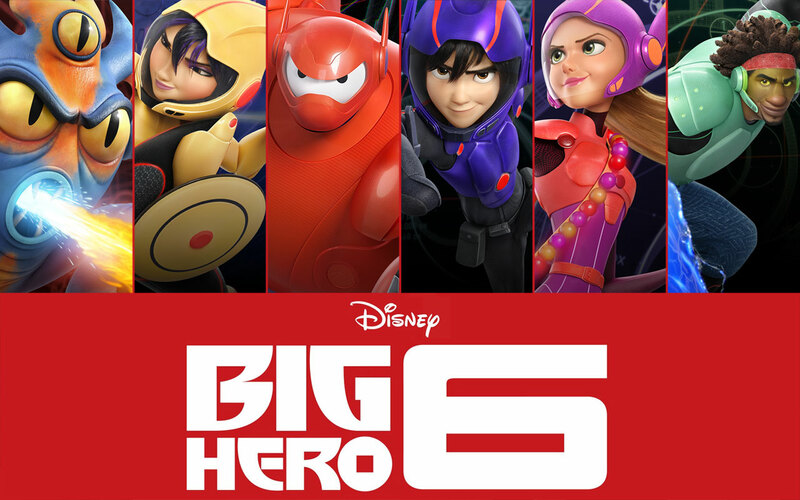 Big Hero 6 is a typical origin story, but with a big heart and many more laughs. The plot has everything it needs and even the short lived character, Tadashi (explained in the trailer), is well developed. I must admit, I wasn’t expecting him to have as much screen time as he did (due to the reveal in the trailer), but I truly left wanting more of him. He played off so well against his bother. The big bad is dispatched before the film is out and this can sometimes be a fault of Marvel/hero movies, it can be forgiven as there is currently not plans set in stone for a sequel. This said, it is one of the strongest Marvel villains seen on screen and a sequel would be welcome. What I do hope is that Disney/Marvel seize this opportunity to create a comic that will engage younger people and inspire the next generation of readers. This entry was posted in Movie reviews and tagged best animated film, Oscar nominated. Bookmark the permalink.